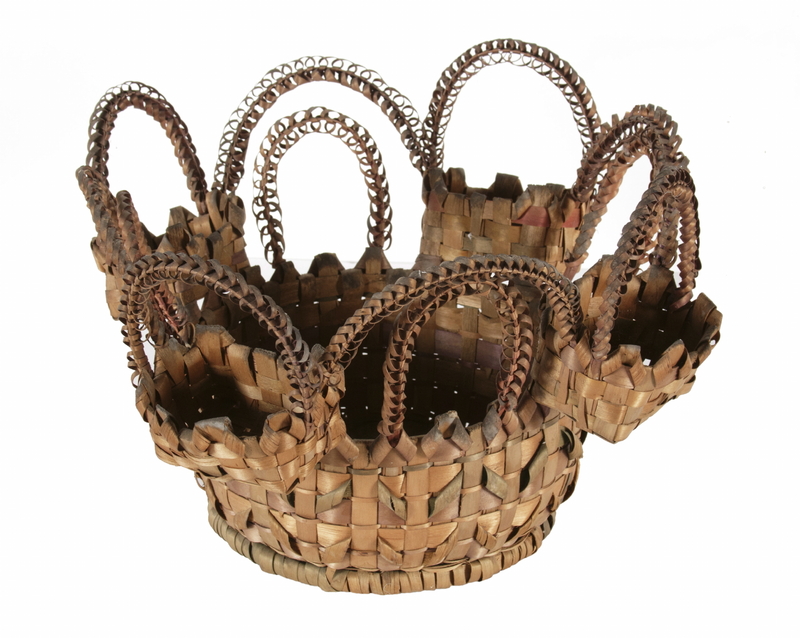 This is perhaps the most elaborate American Indian sewing basket that I have ever encountered. Of Passamaquoddy origin, the primary receptacle has four raised satellites, interconnected by and interspersed with no less than 12 rainbow arches. 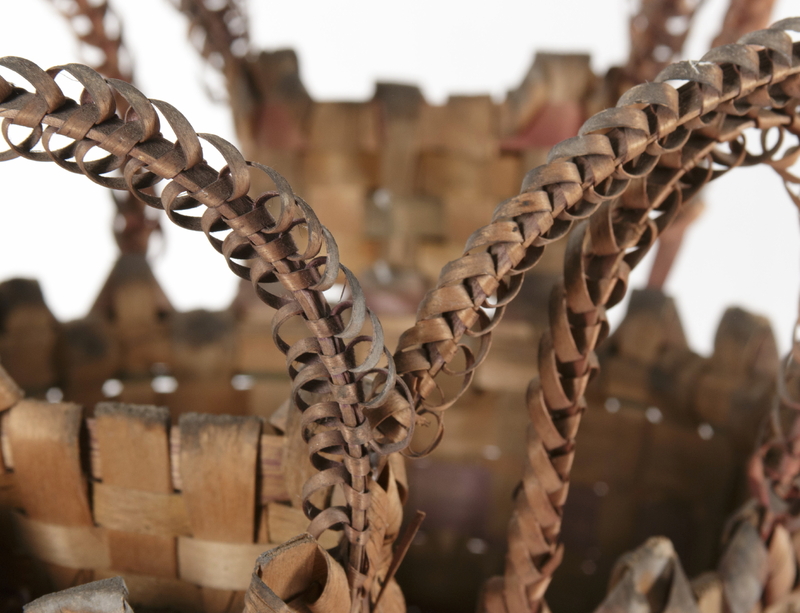 The woven structure is extensively covered with curled splint decoration and there is faded red and blue wash.
A penciled inscription on the underside reads: "Bant [bent] in 1891 Oct. 26 75 old". 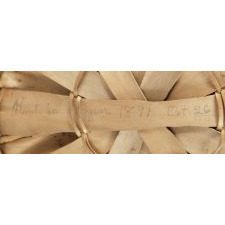 Presumably this was the signature of the maker, who was 75 years old at the time of its making. 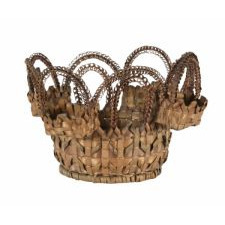 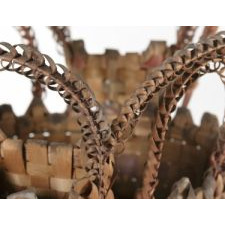 Nothing further to specifically identify the maker is known, but it is remarkable to know the specific month and year of the manufacture of such an extraordinary basket. 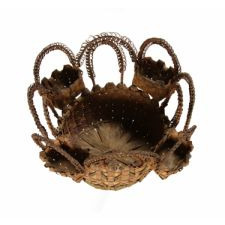 The Passamaquoddy, who primarily occupied Maine and neighboring New Brunswick, were moved off their original lands repeatedly by European settlers from the 16th century onward. 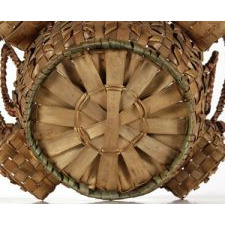 Today the reservation lands are located in Maine in eastern Washington County. 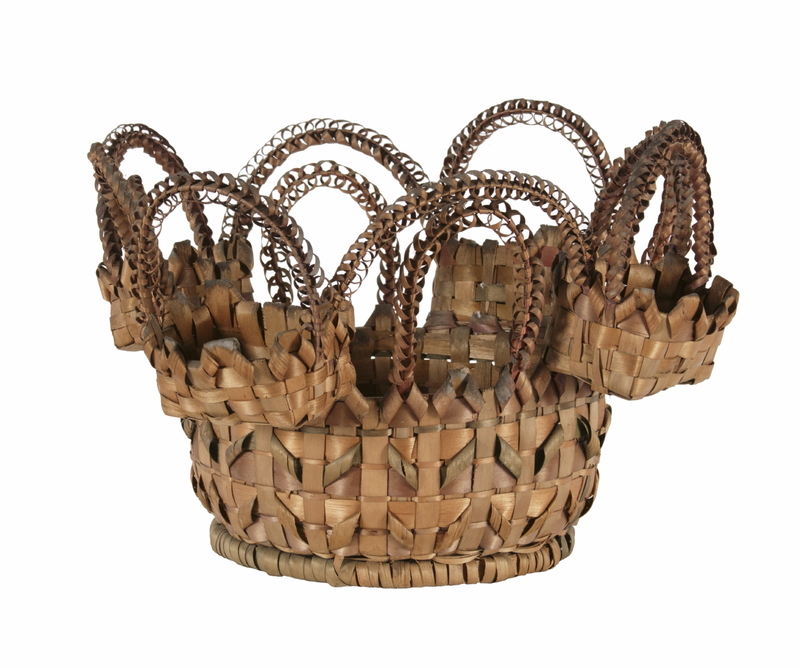 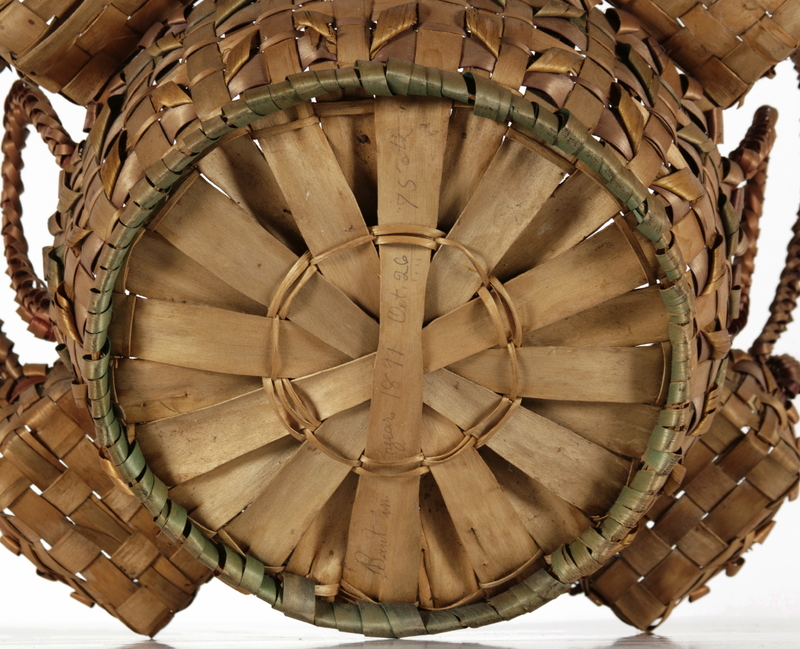 The basket-making of the Passamaquoddy is unmatched among the eastern woodlands tribes and this is a stunning example of their craft. 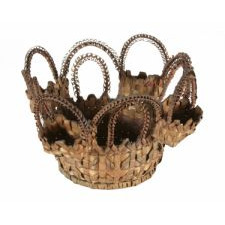 Condition: It is simply impossible for a basket of this nature to survive without some degree of loss, but the amount here is remarkably limited to just one small area on one of the twelve arches, and one lateral half-break in a curled loop on the exterior of the primary receptacle.